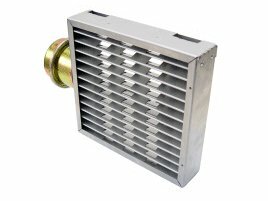 Warren Technology manufactures unitary electric heaters in a variety of shapes, sizes and configurations to be field-mounted in all brands of air conditioning equipment. Our design is safety tested and publicly LISTED by one or more of the following Independent Testing Agencies: Underwriters Laboratory (UL), Intertek Testing Services (ETL), Canadian Standards Agency (CSA), Applied Research Laboratories (ARL). 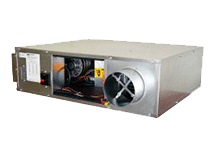 Standard Heaters Models of 5, 8, 10, 15, and 20 KW are available for AC equipment brands such as: Carrier, Trane, York, Goodman, Rheem, Lennox, and many more. Fail-safe thermal fuse links have no moving parts, springs, or contacts; provides overheating and fire protection; and are field-replaceable. 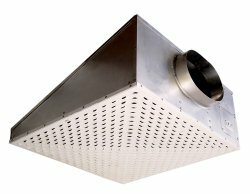 Point Suspension Element Support System eliminates hot spots to extend heating element life. 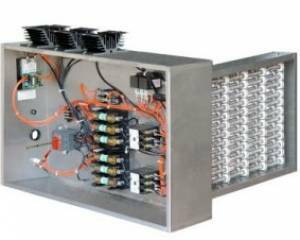 5 KW (maximum) Element Control Stages are controlled by chatter and rapid-cycle resistant contactors. Elements modules are field-replaceable. Time Delay Between Steps: Restarts control stepping sequence on power interruption or brown-out to prevent full-load surges. No Heater Off-Delay (as with bi-metal sequencers): Increases SEER rating and prevents heating overshoot. 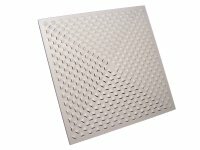 Protective Frame Around Elements prevents damage to elements during shipping, handling, or installation. Competitive Pricing: Value engineered, cost/benefit designs yield competitive pricing. Prepaid Freight: All unitary stocking orders (50 piece minimum of any mix) are shipped prepaid by the factory. Fast Delivery: For stocking orders, the standard production cycle is TWO WEEKS or less. This allows for accurate forecasting and low carrying costs. Non-stocking order cycle is four weeks. Custom Offerings: a wide variety of non standard KWs, voltages, and components, are available. 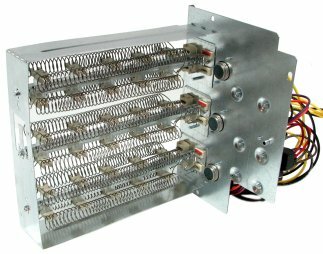 Heaters for many discontinued equipment models are available. Warranty: policies are equal to, or exceed, those of the competition. 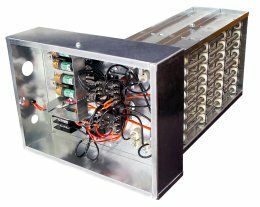 Circuit Breakers & Pull Disconnect Switches are available on most models. 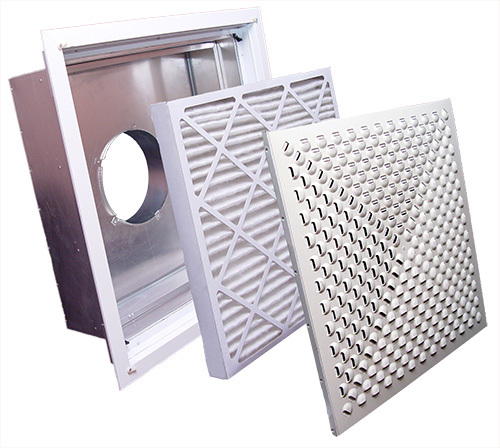 Construction: Heater corners of the control panel are rounded to prevent exposed sharp edges that could injure an installer or damage the insulation in the air handler cavity during installation. 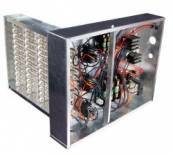 Modular control wire plugs are provided for installation ease. Packing: Heaters are individually packaged and barcode labeled. Shipping: All bulk shipments are palletized, shrink wrapped, and secured with metal corner braces for easy storage and protection from shipping damage. 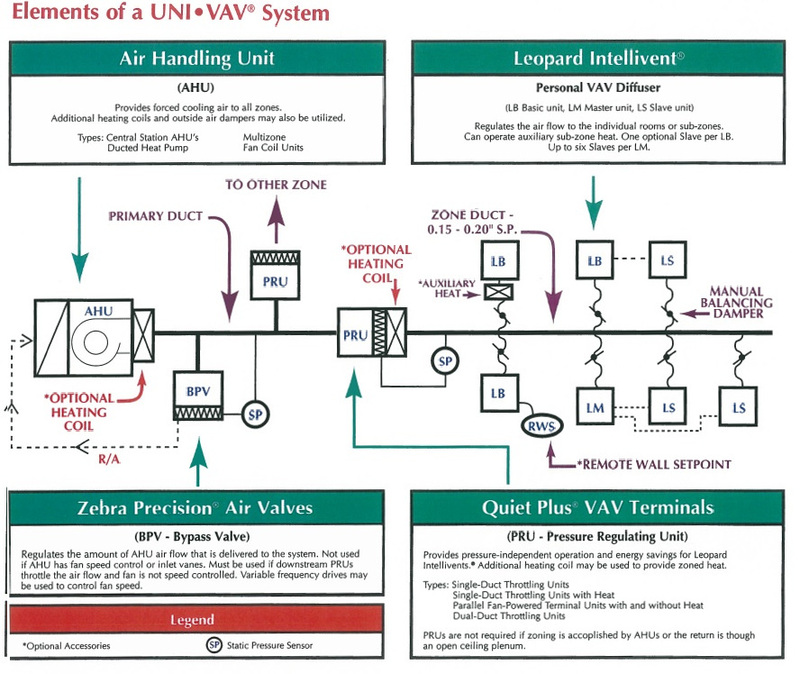 Packaging Information: Installer labels, installation instructions, and wiring diagrams are included with each heater. We also offer customized Barcode labeling. Emergency Shipments: 48-hour production is available.